A top European summer destination, offering magnificent beaches and scuba diving centers. The nightlife is an essential Mykonian attraction, made of famous clubs and taverns. Largest of the Ionian Islands, on the west coast of Greece, offering diverse and dramatic scenery with a rugged inner mountain range and some outstanding beaches and cliffs. Beautiful beaches offering island silhouettes on the horizon; transparent blue seas and friendly beach bars plus atmospheric villages and monasteries, archaeological treasures, world-class museums and a laid-back lifestyle pursued mostly in public, the Greek Islands have it all! The islands have unique archeological sites, a distinctive architectural heritage and the captivating local traditions of a centuries-old and complex civilization. And despite tourist development, the Greek islands have not lost their original character! Spreading in two main seas, the Aegean and the Ionian, the Greek islands are divided into smaller groups. The most popular island group is the Cyclades islands: Santorini, Mykonos and Paros with the typical Cycladic architecture. The islands of Dodecanese and Ionian offer their own charm as well: Rhodes, Kos, Corfu and Kefalonia and then to the south is Crete, the largest of them all. Start your dream Greece vacation with a visit to Athens, a city steeped in mythology: Home of the Acropolis and the National Archaeological Museum, then catch a ferry to Santorini Island, featuring stunning sunsets and dramatic views and continue to Kos Island, Birthplace of Hippocrates, green and lush with lovely beaches and pretty villages.Catch the ferry to Rhodes Island,with among the best-preserved Medieval Towns of Europe (with the Street of the Knights, the Palace and Hippocrates Square, strong walls, paved paths and elegant stone mansions) plus beautiful Lindos.This is a flexible package. Select your number of nights in each city, desired hotel and activities. An extended vacation package through Greece is just what you`ll need to relax and rejuvenate! Begin your adventure in Athens, steeped in history and full of stunning architecture. Continue island hopping via Ferry/Hydrofoil to Mykonos with its winding streets and charming houses and then to Santorini, a picturesque island retreat. 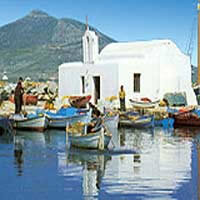 Again, take the Ferry/Hydrofoil to Heraklion in Crete to explore the delightful villages and beaches. Lastly, continue by a short flight to Rhodes . This is a flexible package. Select your number of nights in each city, desired hotel and activities. Start with a visit to Corfu, a lushly vegetated island linked to the history of Greek mythology, storied with battles and conquests. Then continue your vacation package through Greece with a flight to Athens, the cradle of civilization.. steeped in mythology and fantastic history! Last, catch a flight to Rhodes, home of the famed Colossus, forever lost in history but who's legend lives on in this charming island full of stunning beaches. This is a flexible package. Select your number of nights in each city, desired hotel and activities. 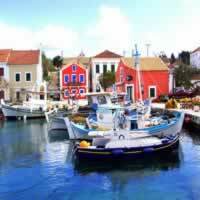 Sample a taste of the Dodecanese Islands in this vacation package! Start with a visit to Athens, a city steeped in mythology: Home of the Acropolis and the National Archaeological Museum, then catch a flight to Kos Island, Birthplace of Hippocrates, green and lush with lovely beaches and pretty villages. Catch the ferry to Rhodes Island, (with among the best-preserved Medieval Towns of Europe with the Street of the Knights, the Palace and Hippocrates Square, strong walls, paved paths and elegant stone mansions) plus beautiful Lindos. This is a flexible package. Select your number of nights in each city, desired hotel and activities. Start with a visit to Athens, a city steeped in mythology: Home of the Acropolis and the National Archaeological Museum, then continue your vacation in Greece; catch a ferry to Santorini Island , featuring stunning sunsets and dramatic views and continue to Kos Island, Birthplace of Hippocrates, green and lush with lovely beaches and pretty villages. This is a flexible package. Select your number of nights in each city, desired hotel and activities. 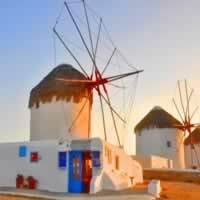 This vacation package through Greece will show you exactly why it is such a famous European destination. Beginning in Athens, the cradle of Civilization steeped in Mythology, then catch a flight to Heraklion in Crete Island with the Minoan Palace of Knossos, charming villages and beaches. 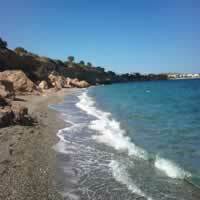 Lastly, fly to Rhodes island, with its intense history and beautiful beaches! This is a flexible package. Select your number of nights in each city, desired hotel and activities. Combine spectacular Athens, the cradle of civilization and home of mythology with Santorini, a captivating island escape with gorgeous beaches and romantic sunsets by the water. 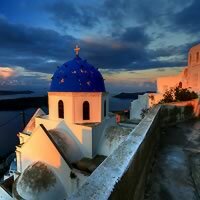 This charming vacation through Greece will leave a lasting impression.This is a flexible package. Select your number of nights in each city, desired hotel and activities. A vacation package featuring three beautiful destinations in Europe, beginning in Athens (the cradle of civilization and the birthplace of democracy), continuing to Santorini (a breathtaking romantic island escape with charming sunsets) and Istanbul (a thoroughly cosmopolitan city which seamlessly blends history and modern conveniences). This is a flexible vacation package. Select your number of nights in each city, desired hotel and activities. 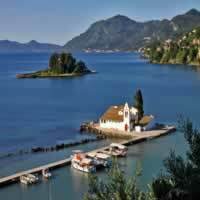 Visit two of the most popular islands in Greece with this vacation package! 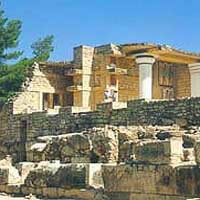 Start with a visit to Heraklion in Crete Island with the Minoan Palace of Knossos, charming villages and beaches. 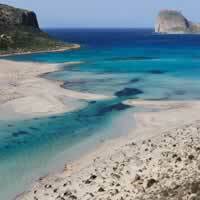 Catch a flight to Rhodes with its exquisitely clear waters and history steeped in Greek mythology. This is a flexible package. Select your number of nights in each city, desired hotel and activities. 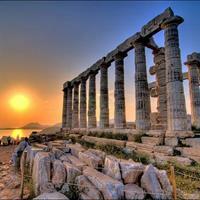 Combine some of Greece`s most popular destinations in one vacation package with flights between cities. Start with a stay in Santorini, the picturesque island with shopping, fabulous beaches and absolutely the freshest seafood. Next is Heraklion, on Crete island, home of the Minoan Palace and stunning views. Lastly, stay in Rhodes, a quaint island with rich ties to Greek mythology and gracious architecture. This is a flexible package. Select your number of nights in each city, desired hotel and activities. Start with a visit to Athens, the cradle of Civilization, then catch a flight to Heraklion in Crete Island with the Minoan Palace of Knossos, charming villages and beaches. Then, take a ferry/hydrofoil or to romantic Santorini Island with its exquisitely clear waters while perched on the rim of a massive active volcano in the middle of the sea. This is a flexible package. Select your number of nights in each city, desired hotel and activities. Take advantage of your vacation to Greece by seeing some of the most breathtaking sights, starting in Athens, the cradle of civilization; full of mythology and stunning ruins and Mykonos, the island oasis with winding streets and unbelievable beaches! Last, travel to Santorini, where the sunsets provide a feast for the eyes, shopping is abundant and the beaches are sunny. Flights between cities.This is a flexible package. Select your number of nights in each city, desired hotel and activities. Your Greek vacation adventure begins in the cradle of civilization, Athens, with its rich history and mythology. Take the Hydrofoil/Ferry to Paros and take advantage of the beautiful beaches and numerous activities, then continue island hopping to Santorini and its charming towns, interesting museums and captivating views. This is a flexible package. Select your number of nights in each city, desired hotel and activities. An adventure filled vacation package through the most beautiful locales in Greece starts in Athens, with its rich history and mythology. Take the Hydrofoil/Ferry to Paros and take advantage of the beautiful beaches and numerous activities, then continue island hopping to Santorini and its charming towns, interesting museums and captivating views. Lastly, take the Hydrofoil/Ferry to Heraklion in Crete, where you will enjoy fascinating architecture, such as the Minoan Palace at Knossos. This is a flexible package. Select your number of nights in each city, desired hotel and activities. Your dream vacation through Greece begins with a visit to Athens, the cradle of Civilization, catch a flight to romantic Santorini Island with its exquisitely clear waters while perched on the rim of a massive active volcano in the middle of the sea and then fly to Heraklion in Crete Island with the Minoan Palace of Knossos, charming villages and beaches. This is a flexible package. Select your number of nights in each city, desired hotel and activities. Combine Paris and Santorini with a flight between cities in this exhilarating vacation package! Begin your journey in Paris (the romantic City of Lights); then travel to Santorini (an unbelievable paradise with beaches, stunning sunsets and fabulous shopping). This is a flexible vacation package. Select your number of nights in each city, desired hotel and activities. 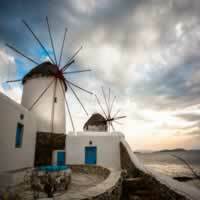 Combine Italy and Greece with a customizable vacation package. Begin in Rome (full of religious history and artistic achievement); then travel to Athens (the cradle of civilization and home of democracy), then fly to Santorini (a gorgeous island with fabulous shopping and stunning sunsets over crystal beaches). This is a flexible vacation package. Select your number of nights in each city, desired hotel and activities. Your dream vacation through Spain and Greece begins with a visit to Barcelona (known for its art and architecture. The fantastical Sagrada Familia church and other modernist landmarks designed by Antoni Gaudi dot the city) and then fly to romantic Santorini Island (with its exquisitely clear waters while perched on the rim of a massive active volcano in the middle of the sea). Flights between cities. This is a flexible package. Select your number of nights in each city, desired hotel and activities. This European vacation package combines London (an unbelievable experience; history, culture, shopping! 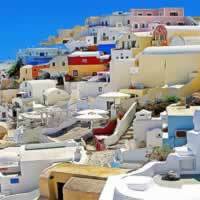 ), with Santorini (a popular island of Greece, with gorgeous beaches, shopping and stunning sunsets). This is a flexible vacation package. Select your number of nights in each city, desired hotel and activities.